Summer is coming! Time to prepare a few items for our children’s wardrobe. 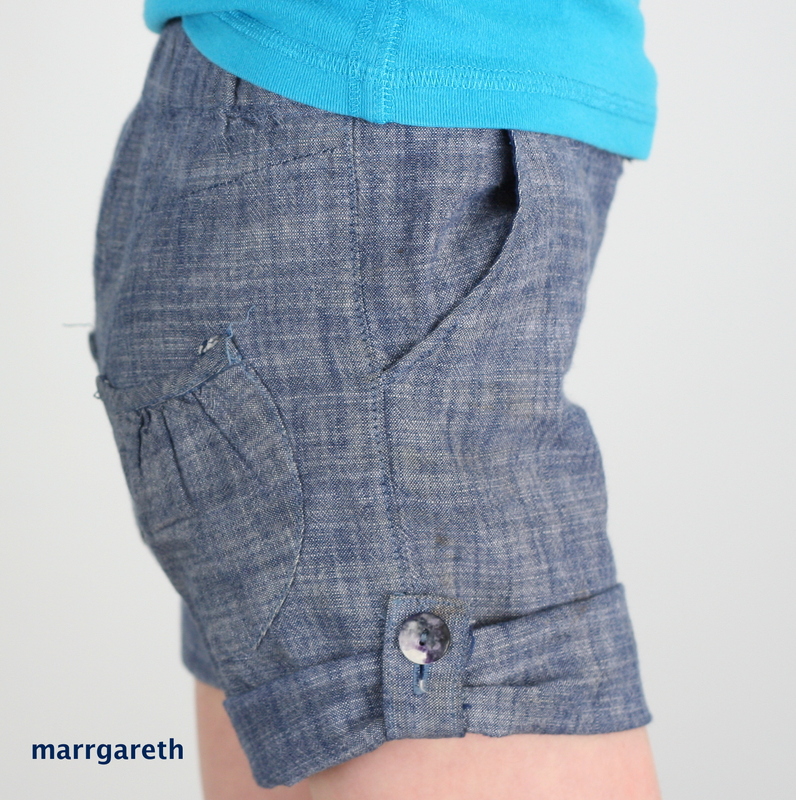 Here is one of my ideas for this summer; summer shorts for a girl. 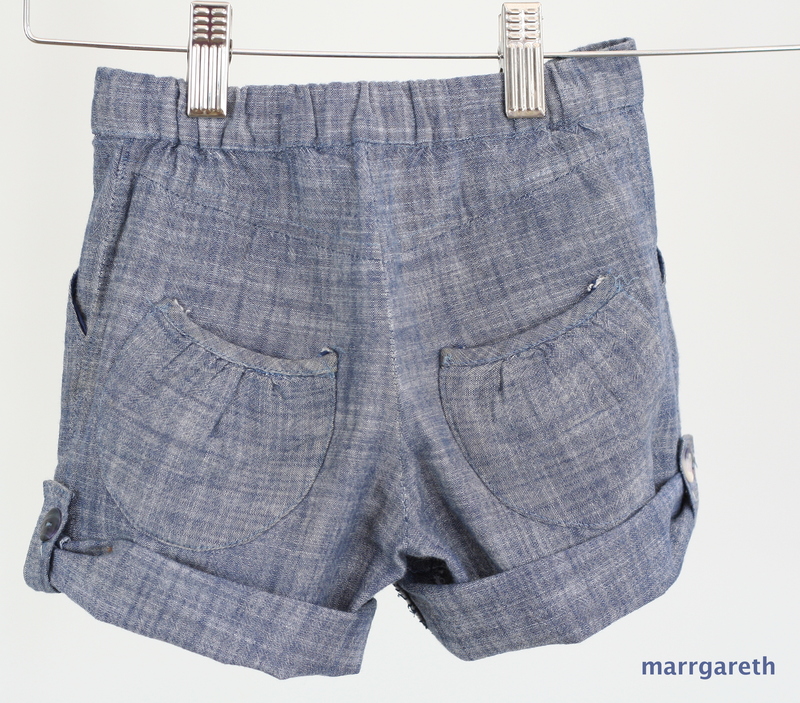 I used a 100% cotton, denim-like fabric, very soft and comfortable. The back part of the waist band has an elastic, which allows a good fit and improves comfort, there are also two cute girly pockets there. 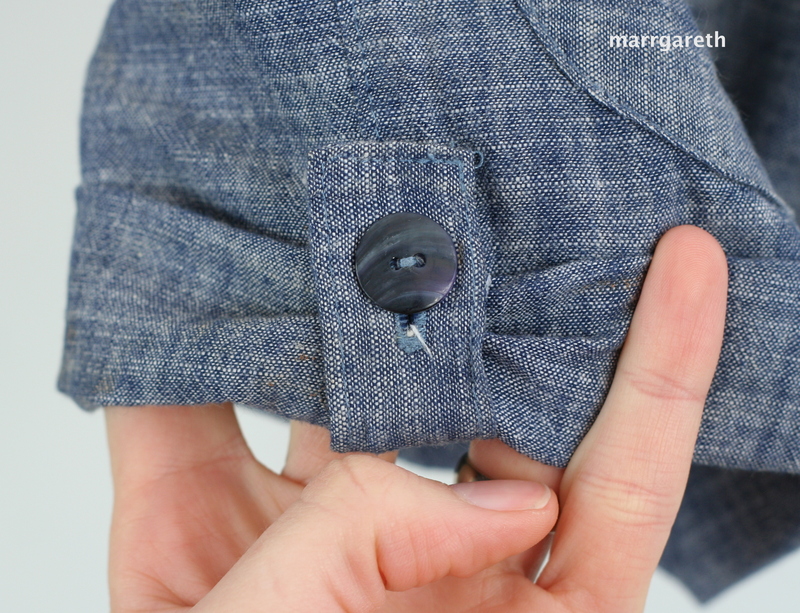 There is a button and a drawstring on the side of each short-leg, which allows to fold the sleeve-legs a bit higher. 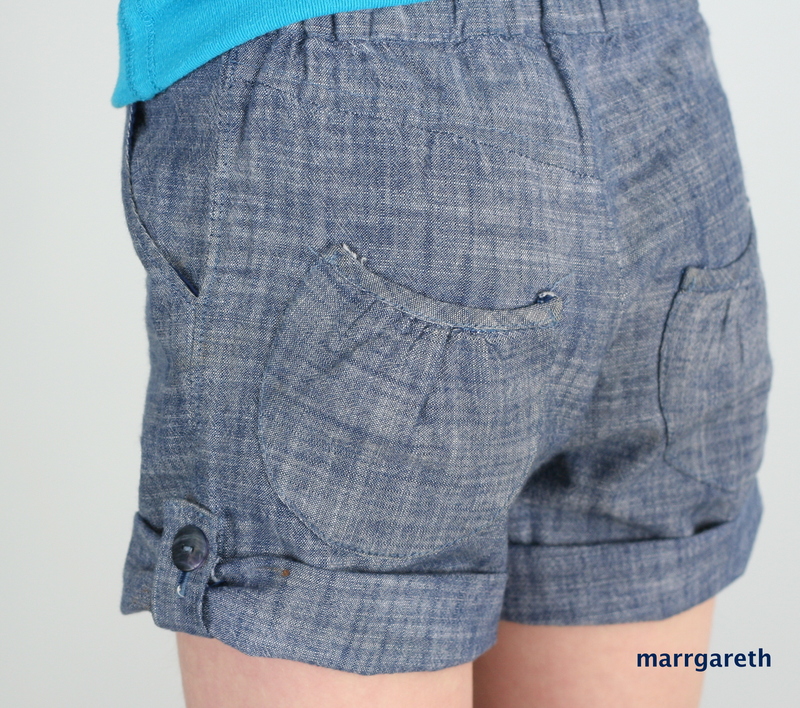 Side view on a side pocket, back pocket and drawstring. The back of the shorts.